A top priority for Contigo Fund was creating an accountable and transparent grant distribution process led by the local community. To accomplish this, we determined that we would identify and recruit a Grant Committee to guide the distribution of the grants and that it would be made up of leaders from the local community and principly include those from the predominately impacted community of the Pulse tragedy. 12 leaders; more than 50% are LGBTQ Latinx-identified individuals; at least 25% are not formally affiliated with existing nonprofits or foundations; 100% are from the local community. 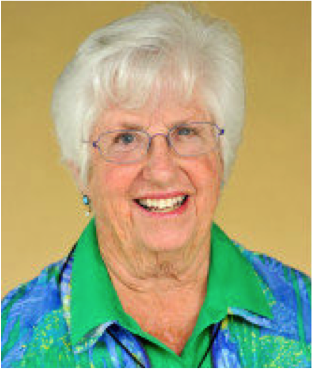 Ann is a Sister of Notre Dame de Namur who came to Central Florida in 1971 to work with migrant and seasonal farmworkers, immigrants and the working poor. Invited by the Catholic Diocese of Orlando to begin the Office for Farmworker Ministry, she and the other sisters began reaching out to and learning from the people. Among the projects the Sisters worked on together with the community are: Community Health Centers which started out as the West Orange Farmworker Health Association; Homes in Partnership, a self help housing organization which has built subdivisions with more than 4,000 homes for low income people; Community Trust Federal Credit Union, the Farmworker Association of Florida, a statewide worker organization with 6,000 members working on issues affecting agricultural workers; the Notre Dame Mission Volunteer / AmeriCorps program which recruits, trains, deploys, and supervises 30 AmeriCorps members serving at risk students in Orange County Public Schools and in other in other local nonprofit organizations working with poor and marginalized people. Now known as the Hope CommUnity Center, she and a team of committed, creative and passionate people continue to work from the assets of the people seeking common solutions to problems, building power and confidence. The Mission of the Hope CommUnity Center is the empowerment of the Central Florida’s working poor community through education, advocacy and spiritual growth. The Hope CommUnity Center is a service learning community where all are both teachers and learners in a mutual process of creating empowered and diverse communities of care and social change. Sister Ann continues to stand in solidarity and lend her voice along with the voices of those directly affected by our country’s broken immigration system and she encourages others to continue the fight for equality as well. Sister Ann has a BA and honorary Doctorate from Trinity Washington University, a MA in Latin American Literature from the University of Maryland and an Honorary Doctorate from Rollins College. 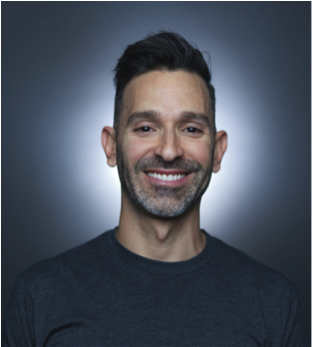 Carlos is CEO of Echo Interaction Group, an award-winning mobile app development & technology strategy consulting firm that has developed nearly 100 applications since 2008. Carlos is the also the founding board president of the Orlando Tech Association, a community-based organization that connects, promotes and fosters the growth of technology companies in Central Florida. As a leader and trusted voice in the local tech and business communities in Central Florida, Carlos serves as a member of several boards including the Orlando Economic Development Commission, Orlando Regional Chamber of Commerce, Creative City Project, and the Orlando City Soccer Foundation. He is also the recipient of the prestigious Don Quijote Award for Hispanic Business of the Year given by the Hispanic Chamber of Commerce of Metro Orlando, a finalist for the Orlando Sentinel’s Central Floridian of the Year and the LGBT Chamber of Commerce’s Community Champion Award. He was also named one of Orlando Business Journal’s 40 under 40, and named one of Orlando Sentinel’s local “Power Brokers” and included in Orlando Magazine’s Most Powerful List’s 15 to Watch. He was also honored by the Governor’s office with the Governor’s Business Excellence award and entered into the Congressional Record in 2014 for outstanding contributions to the LGBT, business and Latino communities in Central Florida. Carlos is also an avid triathlete who has completed over 60 races including arduous Ironman competitions. Founder of Oasis Fellowship Ministries (2005), as well as 2007 President and Founder of Oasis Unified Transformations Community Development Corporation, (O.U.T. 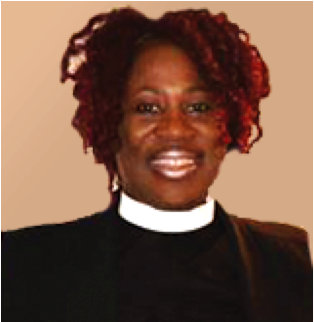 ), Reverend Debreita Taylor has more than 20 years of motivational speaking experience addressing audiences of diverse population, beliefs, age, profession and economic status. Pastor Brei, as she is affectionately called, has organized Oasis Fellowship and O.U.T. to serve and provide refuge and advocacy to those individuals that have found themselves socially marginalized, in one form or another. Pastor Brei has over the past 11 years devoted most of her time and energy towards serving the LGBTQ community through both religious, social equality and justice outreach. She has partnered with such organizations as the Human Rights Campaign and Equality Florida to speak for LGBTQ equal rights issues. She has participated in town-hall meetings and grassroots rallies as a speaker for “Vote No on Amendment 2”. Among her significant positions, with education being a high priority, Pastor Brei served as Executive Academic Specialist and Principal of Tri-L Academy. She has untiringly worked in the Orange County Public School system as a classroom teacher, mentor and Florida Guardian Ad Litem for Seminole County Juvenile Justice. In 2013 Pastor Brei opened OUT Care TCM Agency that serves as a mental health targeted case management advocacy agency. She is also honored to have served many in Metro Orlando and the Tampa Bay area as a Senior Pastor, Associate Pastor and spiritual leader of LGBTQ radical inclusivity. Joan is Sr. Vice President of Community Impact for Heart of Florida United Way (HFUW). 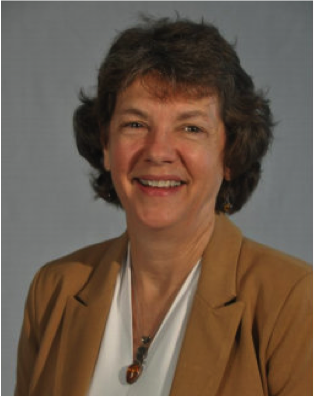 She has been with HFUW since 1997, serving as Director of Resource Management from 1997-2000 and Director of Research and Evaluation, a joint position with HFUW and the University of Central Florida from 2001-2006. Over the past ten years, Joan has been instrumental in leading the implementation of strategies for HFUW to become a community impact United Way. In her early years with HFUW she lead the adoption of outcome based evaluation for United Way partner agencies and co-authored articles published in the American Journal of Evaluation and Journal of Nonprofit Management relating to implementation program evaluation. She has served on numerous community committees. She received her Master’s in Business Administration from Rollins College in 1988 and her Masters in Social Work from UCF in 1996. Joel is a 33-year- old Latino with a knack for helping others. It all dates back to his upbringing in Puerto Rico, before moving to Western Massachusetts as a teenager and later venturing his way through different fields. After utilizing Lean and Six Sigma methodologies during his five years in the manufacturing industries, Joel reached a pivotal moment in his personal and professional life, where he realized that he wanted to make an impact on his community. During his time at Preventive Medicine, he learned the intricacies of America’s healthcare system, something that isn’t easy to embrace with an open mind, an open heart and understanding of medical business practices. After a decade in Massachusetts, he opted for a change and moved to Florida during 2012 in pursuit of an opportunity that would eventually impact the lives of the Pulse Night Club tragedy. Nonetheless, life isn’t always as you planned and Joel learned that when he was diagnosed with a rare autoimmune disorder, leaving him bed bound for four months. After recovering and a gaining a personal outlook on health care, he lent his time to The LGBT Center of Central Florida, quickly moving up the ranks from volunteer to Lead Counselor of the Prevention Program. His experience propelled him to the front line for helping the victims of the June shooting. Since then, his focus has shifted to the aftermath, leading up to a brand-new partnership with the city sponsored program, Orlando United Assistance Center. 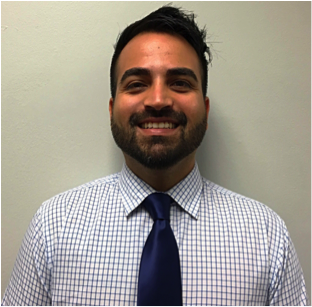 Contracted by the Heart of Florida United Way, Joel serves as a Case Manager at the aforementioned alliance and is aiming to continue his efforts in reestablishing some normalcy to the The City Beautiful. Hugo is 21 years old, born and raised in Escarcega, Campeche, Mexico. Growing up in Mexico wasn’t easy for him - though he never missed a day of school and was highly involved in activities, he was also bullied for being different from other boys. Hugo’s parents made the difficult migration across the desert to the United States when he was 10 years old, so that the family would have a better life and so Hugo would have a better education. Hugo’s mother who particularly faced hardships on their journey to the US is his motivation in life. Jordyn is a 34-year-old transgender Latina of Cuban and Dominican descent. Born in Lynn, Massachusetts, Jordyn Victoria relocated at a young age and now calls Orlando home. She is deeply connected to Orlando's LGBTQ community as a former employee of Southern Nights nightclub and as a performer known to the community by the name of Dominica and Fishydiva. Jordyn Victoria’s vision of the world was shaped by her experience as a transgender woman of color, raised in a home with mixed cultures and by a formerly undocumented father. She experienced family rejection and housing instability when she initially came out and has since developed an extremely close relationship to her father and siblings since transitioning. Many of her close friends were directly impacted by the Pulse tragedy, and Jordyn Victoria was herself deeply impacted and feels called into action to support her community. She has been an outspoken leader in raising awareness of transgender issues, which includes providing assistance to women navigating the legal side of transitioning and against illegal enhancement that has caused harm and even death to members of the transgender community and has led these efforts through the “Say No to Silicone Injections” grassroots campaign. Jordyn Victoria dreams of bringing trans awareness to everyone’s life and one day building a resource center for (and led by) the transgender community that provides support with employment, funds and resources for transition-related procedures, medical needs and resources along with legal assistance, social and community-building support, advocacy and mentoring. Miguel is a gay Mexican leader in Orlando who works on centering and empowering the LGBTQ Latinx community in Florida. 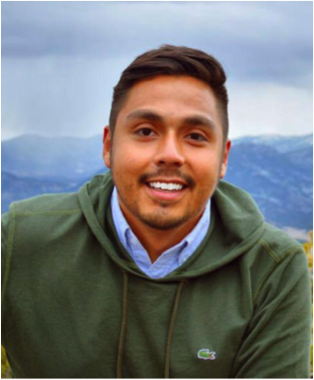 Miguel is one of the founding leader of QLatinx, a grassroots racial, social, and gender justice organization that emerged in the aftermath of the Pulse tragedy and focuses on advancing the rights of the LGBTQ Latinx community. Miguel grew up in a rural and predominantly immigrant community right outside of Clermont, Florida and brings this important perspective into his work. He attended the University of Central Florida, Class of 2010, with a degree in Public Affairs and currently works at Valencia College as an Academic Advisor. Miguel believes in centering and empowering members of his community so they can sit on decision-making tables and ultimately become role-models for the rest of the community. Co-Founder of Proyecto Somos Orlando, Nancy is a retired NYPD sergeant and a 9/11 first responder/survivor who was assigned the task of coordinating the long-term access to mental health care of 9/11 first responders in the aftermath of this tragedy. She holds a Masters in Social Work from Fordham University with a specialization in suicide prevention and traumatic stress, taught Criminal Justice at Florida Technical College, and was a social worker at the Children’s Arts and Science Workshops in New York. Nancy is an openly gay community activist, and she serves as Vice President of Misión Boricua in Central Florida, an organization that is dedicated to educating the community about Puerto Rican history, culture, literature, music & art, as well as promoting civic engagement of the Puerto Rican community. 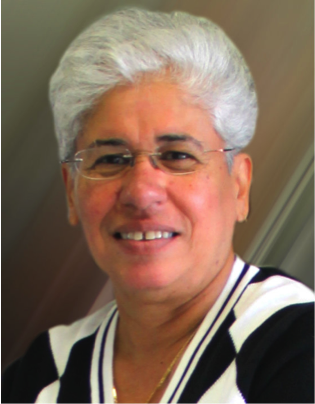 She has been instrumental to Proyecto Somos Orlando due to her extensive experience in mental health care and crisis intervention, and through her work with the faith community as an active member of United Church of Christ (UCC). 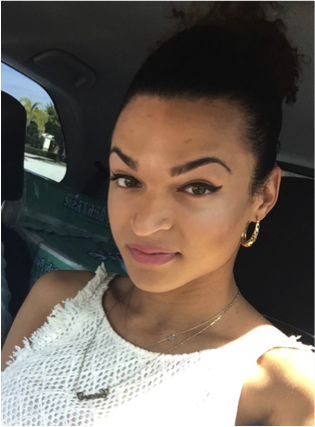 Nikole is a 23-year-old transgender Latina of Puerto Rican, Italian & African American descent. Nikole was born and raised in Orlando, Florida. She is connected to Orlando’s LGBTQ community as someone who worked for a short time at Pulse and as a frequent attendee of the nightclub, especially Saturday’s Latin Night, and two of Nikole’s friends were directly impacted by the Pulse Tragedy which motivates her to make a difference. At the age of 19, Nikole left her job and home to fully transition into a woman after facing rejection from her family for simply living as her full authentic self at home. 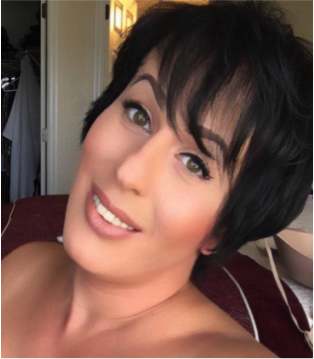 After two and a half years of black market hormones, unsafe lifestyles practices and many more hardships just to transition, Nikole changed course and landed a 9-5 job. At 22, Nikole created and coordinated a Mentoring Program for a mental health counseling facility. At the age of 23, she was promoted to Office Manager / Director of Human Resources. Nikole wants all LGBTQ individuals, especially transgender youth, to know that you can do anything you put your heart and mind to. Nikole has always wanted to help her community and her dream is to one day open a resource center to raise transgender awareness and assist transgender individual’s transition correctly with the help of counseling, mentoring, legal support, medical references, and more. She wishes people from her community will not have to take the difficult path she did, particularly using black market hormones or falling into unsafe lifestyles to transition. Nikole wants to incorporate and center mental health and wellness into the work she leads, especially in the Latinx community because talking to a counselor in Latinx and other ethnic minority populations is often stigmatized – “you keep family business in the family”. Now that the LGBTQ community is so widely talked about, this is the moment and opportunity to encourage families starting their journey of acceptance for an LGBTQ family member by letting them know they are not alone and can receive counseling, resources, and help. Ricardo moved to Orlando, FL from Puerto Rico in the summer of 2015. Born and raised on the island, he focused on academics, obtaining a Master’s Degree in Curriculum and Teaching as well as a Juris Doctor from Pontifical Catholic University and is licensed to practice law in Puerto Rico. 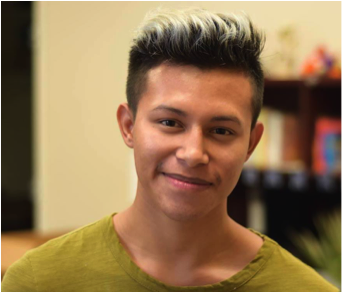 He has recently completed a service year with AmeriCorps serving the Florida Immigrant Coalition as an Immigration Associate and English Coach for the immigrant community in the Central Florida region. 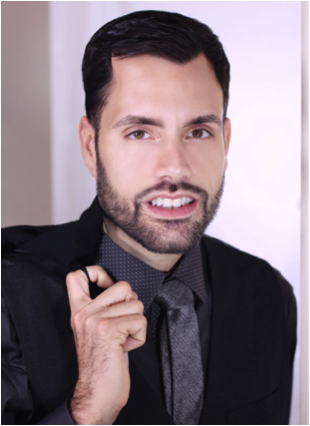 Currently, he works with Proyecto Somos Orlando as a Community Advocate, advocating for the needs of individuals and families who’ve been directly impacted by the tragic events that took place at Pulse Nightclub. 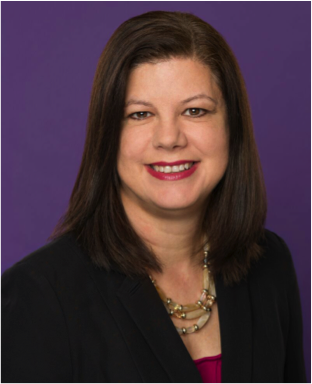 Sandi is the Vice President of Community Strategies and Initiatives for the Central Florida Foundation. She is a graduate of the University of Miami School of Business with a degree in Business Administration. Prior to her role at the Foundation, Sandi served as the Executive Director/CEO of Christian HELP a nonprofit focused on helping people to find jobs. Sandi also served with the Central Florida Commission on Homelessness. Sandi has over 8 years of nonprofit leadership and over 20 years of Business Management experience. Sandi has a passion for public speaking, advocating for solutions to homelessness, hunger and poverty, as well as teaching people how to be successful with their job search. She loves to write and has written for several publications including a blog on the Huffington Post. She is married with 3 kids and 3 cats. She is also a local Jefferson Award winner for volunteerism, and currently volunteers judging speech and debate competitions in the high schools.